A stratospheric eagle and two birdies in the last three holes were its closure to a first round of -7. Only the Irishman surpasses him, who finished 10 under par despite taking five streets. 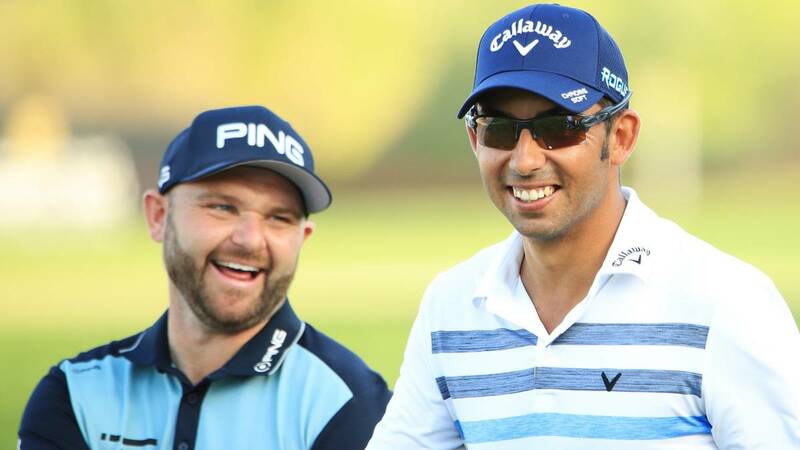 The first round of the HSBC Golf Championship played on Wednesday at the Abu Dhabi Golf Club did not leave anyone indifferent. Because in it the Irishman Shane Lowry became the first golfer in the history of the European Tour to make ten under par under less than five streets (took four) , a brand that speaks very well of the effectiveness of the Irish with the irons and the putter. That card serves to Lowry, winner of a PGA tournament, two of the European Tour and a test of the World Championships, to lead the tournament. Le follows a group of four players in which they are, with -7, French Lorenzo-Vera, the South Africans Oosthuizen and Sterne and the Spaniard Larrazabal, who also had a great day. The 35-year-old from Barcelona closed his magnificent lap with a stratospheric eagle in par 4 of the 16th hole and two birdies in 17 and 18. He had also previously finished a low blow for one, two, four and eight, with bogey in 14. Other Spaniards who won the field in this first round were Rafa Cabrera Bello (-4), the promising Adri Arnaus (-3), Adrián Otaegui (-2) and Jorge Campillo (-1). Fernández-Castaño, Olazábal and Quirós made the pair and Elvira used three more strokes.